VIDEO: Dog Wants Ear Medicine Too! What did we do to deserve dogs, the purest most beautiful creatures we could imaginably be around. Take for example this beautiful pup who, upon seeing his fellow dog get some ear medicine desperately wanted some of his own! 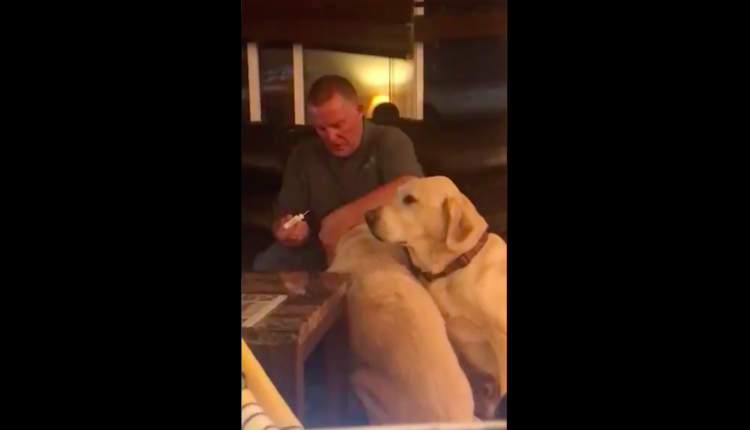 He waited by the dog as their papa squirted medicine in the other dog’s ear. The dog in question then rushed up to his owner and put his head in his lap. The owner, bemused went “squirt squirt squirt, squirt squirt squirt”, dripping medicine into the dog’s ear. The dog then ran off, no doubt to continue looking for ear medicine, and more importantly, finding the love that he wants from all these humans. Oh dogs. You’re so absurdly beautiful. Dogs, how do you guys do it? All that love in your little souls? So fabulous, so pure, so cute. Hold on, I’m getting on a plane. It is time to pet this dog in question. Farewell. I am off to pet. What did you think of the beautiful video? Let us know in the comments or on Twitter at @WhatsTrending.